After a summer-long saga of accusations, denials, and blockbuster reporting by the American Civil Liberties Union, the dust appeared to have settled on Amazon’s Rekognition scandal. But a letter from shareholders this week rekindled the flames, urging the company, which was worth an estimated $ 1 trillion in September 2018, to prohibit sales of facial recognition technology like Rekognition to governments unless its board independently concludes there is no risk of civil and human rights violations. But any restraint current AWS customers have chosen to exercise is by no means a guarantee against future — or present — abuses. Case in point: In September, a report in The Intercept revealed that IBM worked with the New York City Police Department to develop a product that allowed officials to search for people by skin color, hair color, gender, age, and various facial features. Using “thousands” of photographs from roughly 50 cameras provided by the NYPD, its AI learned to identify clothing color and other bodily characteristics. Some foreign governments have gone further. According to a report by Gizmodo, the European Union plans to trial an AI system — dubbed iBorderCtrl — that will vet “suspicious” travelers in Hungary, Latvia, and Greece, in part by analyzing 38 facial micro-gestures. The system can reportedly be customized according to gender, ethnicity, and language. Later this year, Singapore agency GovTech plans to deploy surveillance cameras linked to facial recognition software on over 100,000 lamp posts. Yitu Technology — a Chinese company weighing a bid to supply the software — says its solution can identify over 1.8 billion faces. China’s facial recognition plans are perhaps the most ambitious to date. Efforts have long been underway in the country of 1.3 billion — which has an estimated 200 million surveillance cameras — to build a nationwide infrastructure capable of identifying people within three seconds with 90 percent accuracy. Singapore, the EU, and others claim that facial recognition technology has the potential to deter crime, perform crowd analytics, and aid in antiterrorism operations. But countless research efforts — including a 2012 study showing that facial algorithms from vendor Cognitec performed 5 to 10 percent worse on African Americans than on Caucasians — has demonstrated current systems’ imprecision and susceptibility to bias. And, as Microsoft president Brad Smith noted in a blog post late last year, the normalization of facial recognition is a slippery slope toward a totalitarian dystopia. “Imagine a government tracking everywhere you walked over the past month without your permission or knowledge,” he wrote. “Imagine a database of everyone who attended a political rally that constitutes the very essence of free speech. Imagine the stores of a shopping mall using facial recognition to share information with each other about each shelf that you browse and product you buy, without asking you first. This has long been the stuff of science fiction and popular movies — like Minority Report, Enemy of the State, and even 1984 — but now it’s on the verge of becoming possible,” Smith said. In a December event in Washington, D.C. hosted by the Brookings Institution, Smith proposed that companies review the results of facial recognition in “high-stakes scenarios,” such as when it might restrict a person’s movements, and called on legislators to investigate facial recognition technologies and craft policies guiding their usage. Brian Brackeen, CEO of facial recognition software company Kairos, said in a hearing with the Congressional Black Caucus last year that standards should be put in place to ensure baseline accuracy, and to avoid misuse by foreign adversaries. “We have to have AI tools that are not going to false-positive on different genders or races more than others, so let’s create some kind of margin of error and binding standards for the government,” he told VentureBeat in an interview. “Like many technologies with multiple uses, [it] … merits careful consideration to ensure its use is aligned with our principles and values, and avoids abuse and harmful outcomes,” Kent Walker, senior vice president of global affairs, wrote in a blog post. But there’s more work to be done. 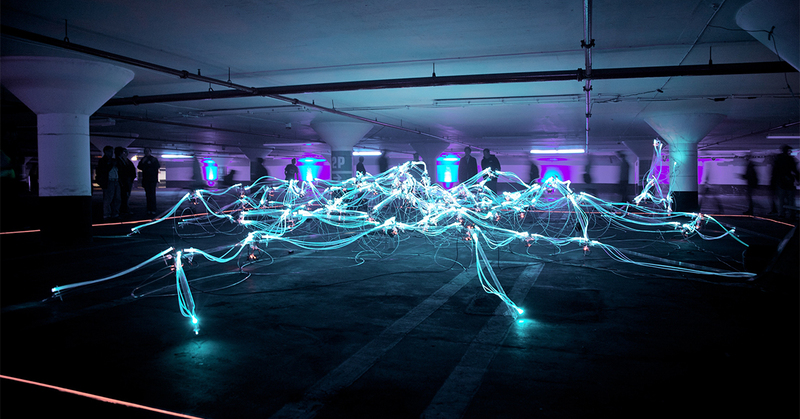 In the midst of government dysfunction in the U.S. and abroad and ethics-skirting advances in AI, it’s critical that regulators — and organizations — pursue mediating laws and policies before it’s too late. P.S. Please enjoy this video of Ubtech’s walker robot from the 2019 Consumer Electronics Show. In a new paper, scientists at Facebook AI Research and Stanford describe a chatbot that learns from its mistakes over time. Robomart is partnering with the Stop & Shop grocery store chain to make deliveries with its driverless grocery store vehicles this spring. Amazon’s Alexa assistant can now read the news in the style of a newscaster, thanks to a novel machine learning training technique. Project Alias is a crowdsourced privacy shield for smart speakers that prevents intelligent assistants from listening in on conversations inadvertently. Clusterone raised $ 2 million to take care of DevOps for developers and data scientists more interested in AI than infrastructure management. Badger Technologies is teaming up with Retail Business Services to supply more than 500 Giant, Martin’s, and Stop & Shop stores with robot employees. It should come as no surprise that 2018 was a crazy and explosive year for BI and analytics. As a market that changes on what feels like a daily basis, there’s always a new technology to learn about or a new way to up your analytics game. With such a fast-paced industry, there’s never a lack of things to write about and here at Sisense, we take it upon ourselves to be a one-stop shop for all the analytics content and learning you need. With that in mind, it’s time for one of my favorite posts of the year! Here’s a wrap up of the top 10 blogs that you shared the most over the past 365 days (based on data, of course). 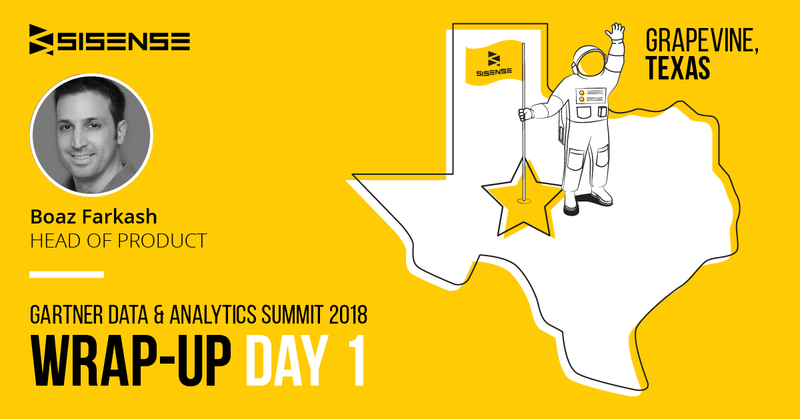 This year Gartner Grapevine was jam-packed with impactful sessions and tons of analytics knowledge. In his day one wrap-up our VP Product, Boaz Farkash, talks about his key takeaways for BI leaders to address in order to scale value for their customers. Spoiler alert: it has to do with a fundamental shift in the market of BI turning to AI. 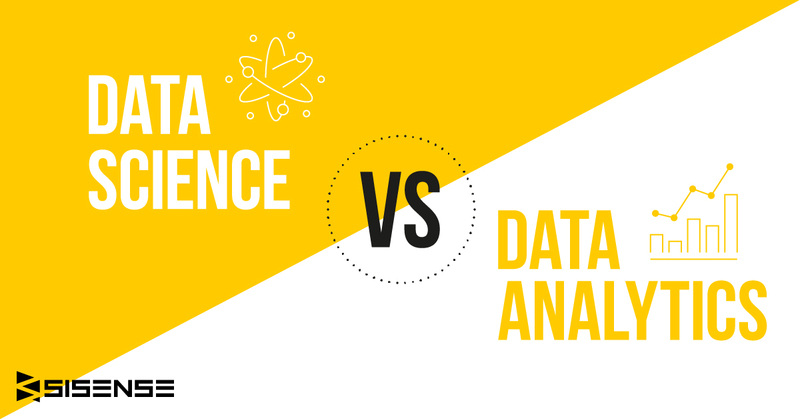 Often mistaken for one another, it can be confusing to differentiate between data analytics and data science. Despite the two being interconnected, they provide different results and pursue different approaches. We break down the differences in this post. Embedded Analytics, or analytics capabilities bundled into business applications, are making a dramatic foray. 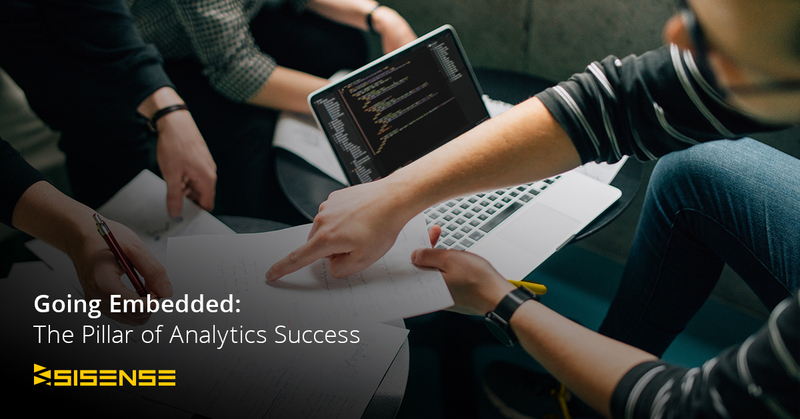 If you’re not already using embedded analytics in your organization, this post will help you understand what data you’re leaving on the table. 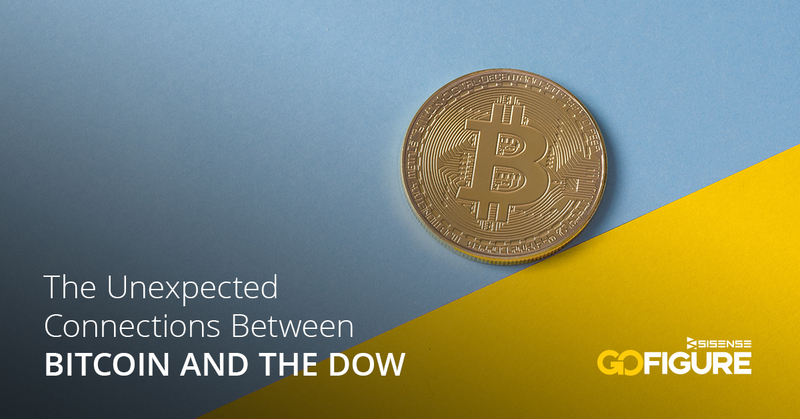 Part of our new series, GoFigure!, this post and the accompanying analysis report and interactive dashboard dig through data to see if there are any connections between Bitcoin and The Dow. Our findings might surprise you. Sure, you can build your own analytics solution. But, by the time it’s ready to launch your competitors will be way ahead of you. 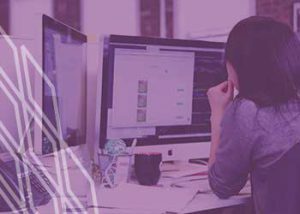 Crafted for the R&D professional, this post breaks down what functionalities you should consider when embedding analytics. 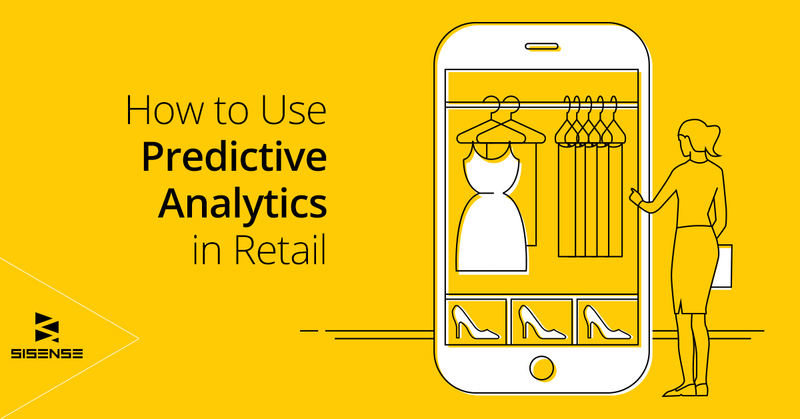 Few fields may be as optimized for predictive analytics compared to retail. In a field where businesses succeed by effectively uncovering what customers will like next, predictive analytics can be the difference between a strong revenue stream and a dwindling sales pool. 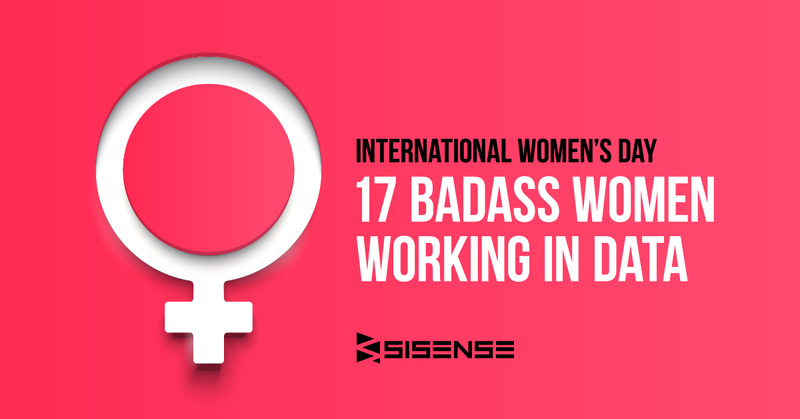 Although every day is a day to celebrate the women who are shaping the data world, on this year’s International Women’s day we celebrated 17 of the most awesome ladies out there championing the data and analytics cause. 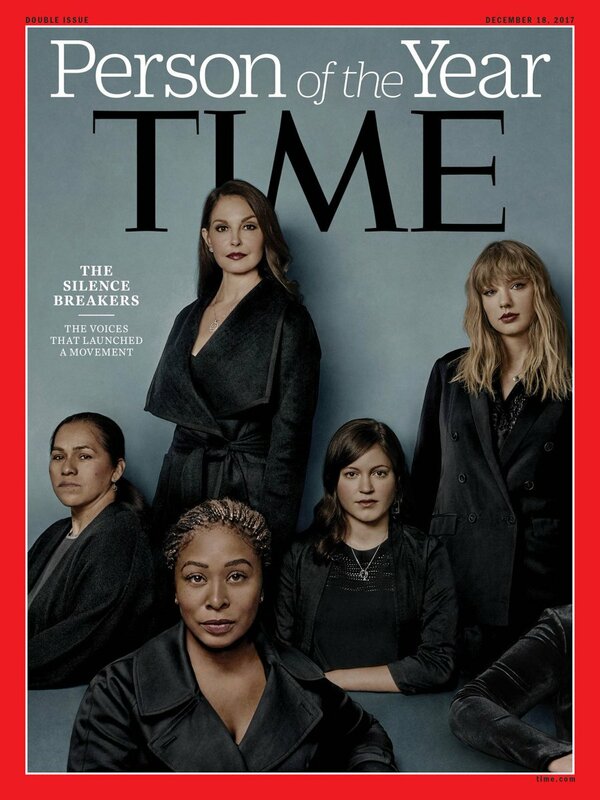 If you don’t know these women, you should! 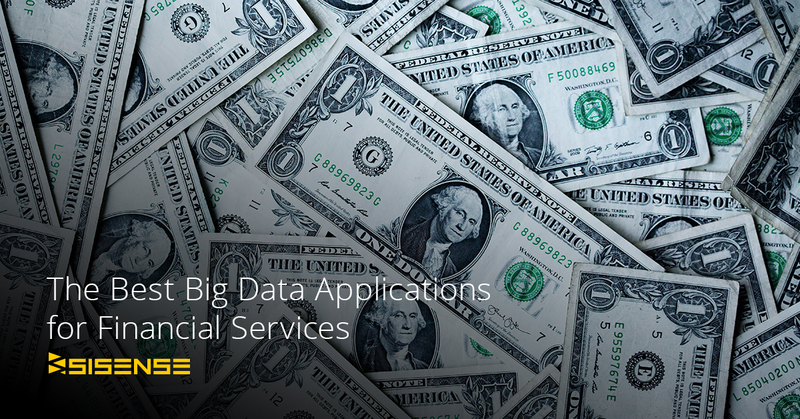 Today’s financial service providers operate almost entirely online, and every single transaction and penny transmitted creates hundreds of data points. This post details how financial service organizations can find the right data streams and KPIs. Millions of people live as refugees and individuals seeking asylum. Where are they fleeing and where are they seeking sanctuary? 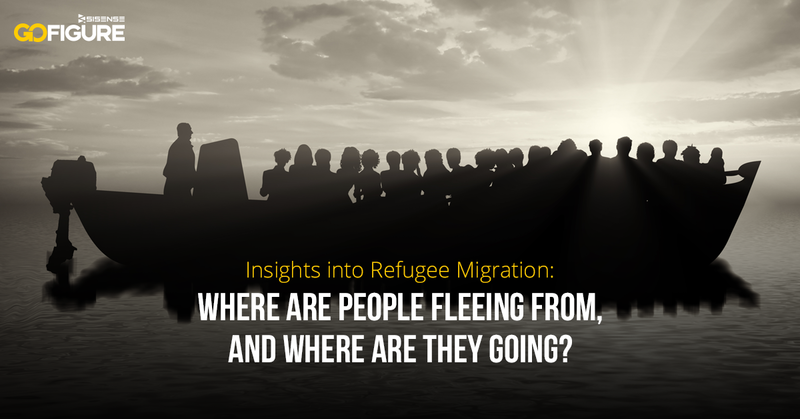 In this edition of GoFigure!, our blog post, original analysis, and interactive dashboard take a look at data from the World Bank and reveal insights on the world refugee crisis. 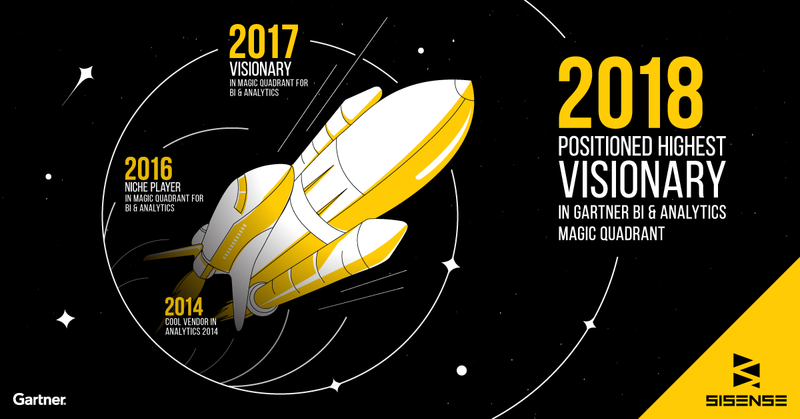 Every year BI vendors wait on pins and needles to see where they’ll be placed in the Gartner Magic Quadrant for Analytics and Business Intelligence Platforms. This year’s top blog post announces our exciting position (Visionaries!) as well as what our VP Strategic Growth and Innovation, Guy Levy Yurista, PHD, thinks the Quadrant means for the analytics market. Thanks for being loyal readers. Happy 2019! The implementation of a new CRM solution such as Microsoft Dynamics 365 may represent a substantial investment for any organization, not just financially, but in time. However, your users need to be using the new system to leverage all its benefits and features for your organization to see any return on its investment. To ensure that you get your users on-board with this new solution, several steps can be taken even prior to the implementation process to ensure a high user adoption rate of the solution and in the long run, simplified processes and increased productivity. This three-part series offers tips to drive user adoption in your organization before, after and throughout the entire implementation process. Here are 5 tips to help you choose the CRM solution that will best meet the needs of your organization and end-users. Before getting started, establish benchmarks, draft user surveys, and identify KPIs that you wish to improve. Having specific criteria that can be measured against your later performance makes it easier to gauge whether the implementation is a success. User satisfaction, operating costs, productivity, collaboration, employee engagement, etc. can all be measured. Hire a consultant to help with change management. While this does represent an additional investment that might be tempting to skip, this will help manage costs in the long run by avoiding budget and timeline overruns. A change management expert can also help you put in place the proper structure to ensure that your end-users receive the training necessary. Work with your implementation partner to ensure that the new solution follows your existing processes rather than the other way around. This will facilitate user training and optimize productivity and efficiency since the new solution will support the way your staff currently works. Choose a solution that will grow with your business and support its processes even in 5, 10 or 15 years. Ensure that your users understand why your organization is implementing a new CRM solution. End-users may not be too keen on having their daily routine disrupted and learning to navigate and use a new system, so it’s important that they understand what the objectives are and how it will positively affect their individual success as well as the organization’s. Involve your resources in the choice of the solution. Demonstrations and presentations can go a long way to ensure that your resources feel involved in the process from the very beginning. They will be more likely to welcome change if they feel that their input has been taken into consideration. These tips will help you pave the way for a smooth transition to the new solution, which should help support your existing processes, not the other way around. By understanding your vision and how the new system will help them in the long run, your end-users will be more open-minded to the upcoming changes and more willing to make use of the new solution. For more information, read our article to know What to Think about before Going Live with your Microsoft Dynamics CRM implementation. Franken should say that he will resign if Roy Moore is banned by the Ethics Committee (if he wins) and not one second before. And if Jones wins, he will accept the vote of the Ethics Committee. “We’re still at the bomb-throwing point of this revolution, a reactive stage at which nuance can go into hiding. But while anger can start a revolution, in its most raw and feral form it can’t negotiate the more delicate dance steps needed for true social change. Private conversations, which can’t be legislated or enforced, are essential. Too early? There probably have been numerous projects already underway, perhaps even one started when we thought he would lose the Electoral College vote. We already have some interesting, even landmark films about a variety of financial scandals, so there will be an actual, rather than satiric Trump biopic, probably produced with …. Russian money. Call it GetTheBigly Shorty. And we know that’s what Trump really wants, a biopic rather than the soon-to-be historical ignominy as the worst US president. We already know he cannot write a book long enough for ordinary humans to read. Unlike his predecessor, Trump will have to have any post-POTUS memoir ghost-written. We also know films shot in his buildings tend to require cameos with him. He needs a hagiographic film, not so much like Lincoln or Bulworth, because he’s a … star. My preference would be something based on the Stavisky Affair like Alain Resnais’s Stavisky, probably because it has both flashbacks and flash-forwards plus a Trotsky cameo, but Hollywood will probably make it more like Stolen Holiday (1937), where there’s no suspicion that the long arm of the law is involved with Stavisky’s self-inflicted demise. Remember that Steve Bannon did his own hip-hop / rap version of Coriolanus. The Stavisky Affair was a 1934 financial scandal generated by the actions of embezzler Alexandre Stavisky. It had political ramifications for the French Radical Socialist moderate government of the day because the Prime Minister had protected Stavisky, who suddenly died in mysterious circumstances. The political right engaged in large anti-government demonstrations on 6 February 1934. Paris police opened fire and killed 15 demonstrators. More importantly, Stavisky did have a real effect on French government. A right-wing coup d’état seemed like a possibility, but historians agree that the multiple right-wing forces were in no way coordinated and in no way trying to overthrow the government. Even after the financial stiffness of Mitt Romney, we now have the ultimate in kleptocratic hubris. U.S. President Donald Trump vowed to fight the power of global elites and told voters he would put “America First.” But surrounding Trump are a number of close associates who have used offshore tax havens to conduct business. This visualization, produced with support from the Pulitzer Center on Crisis Reporting, is part of the Paradise Papers investigation by the International Consortium of Investigative Journalists, Süddeutsche Zeitung and more than 90 media partners. The Paradise Papers is a global investigation based on 13.4 million leaked files from leading offshore law firm Appleby, trust company Asiaciti, and from company registries in 19 secrecy jurisdictions. The files reveal the offshore activities of some of the world’s most powerful people and companies. There is nothing illegal about doing business offshore, but the offshore industry’s role in allowing tax avoidance and financial secrecy has generated significant public interest. Each of the Influencers featured in this interactive have appeared in the leaked files, either personally or through a company he headed. Information included in this interactive comes from inside the Paradise Papers files, as well as from reporting and research by ICIJ’s journalists and partners. Donald Trump’s The Art of the Deal: The Movie is a 2016 American parody film by the production company Funny or Die. The satire of businessman Donald Trump was released during his 2016 campaign for President of the United States. If you are waiting for the Business Edition of Dynamics 365… On Monday at the Directions Conference in Orlando, Marko Perisic gave a keynote that set Microsoft partners on their heels. He announced that the product formerly known as Microsoft Dynamics CRM, Dynamics 365 for Financials and Operations Business Edition, formerly known as Dynamics 365 Financials, formerly known as Project Madeira, formerly known as Navision (NAV) is now to be known as “Tenerife”. “Business Edition is no more”. Tenerife which is commonly known as the largest of Spain’s Canary Islands, off West Africa is now the code name for the new partner platform for vertical solutions. Tenerife that would be available exclusively from Partners, and that all deployments would be white-labeled. Also gone is segmentation by customer size (SMB, Enterprise, Etc.) The new model in Tenerife will be feature based, buy the features you need. A 1000 user customer can license this app and pay the same as a 15 user company. Apparently there was growing concern at Microsoft about enterprise accounts trying to leverage the now canned Business Edition. To combat this Microsoft placed limitations on the Business Edition (number of custom entities, workflows, etc.) With Tenerife when a customer needs more features they will simply pay for what they need. Many think this is what the Dynamics 365 model should have been from the get-go, we could have avoided all the confusion in the market about Enterprise vs. Business Edition. The forthcoming marketing app. will follow this same path. Tenerife will be the platform for app development for Navision (NAV). All existing ISV solutions for NAV will need to be ported over to this new platform. NAV will also be discontinued in favor of Tenerife and will be white labeled by partners. The Common Data Service will be backbone that ties all apps together. Think SalesForce.com’s Force.com but with in-built ERP functionality. More information is expected today and we will post a follow up blog. In the meantime think about an island in Spain off West Africa called Tenerife. About the Author: David Buggy is a veteran of the CRM industry with 18 years of experience helping businesses transform by leveraging Customer Relationship Management technology. He has over 14 years experience with Microsoft CRM and has helped hundreds of businesses plan, implement and support CRM initiatives. David spent 20 years as VP/Partner for a leading Microsoft CRM partner where he founded the Microsoft CRM practice. In 2017 he founded Strava Technology Group, a firm that is focused on helping businesses achieve success with Microsoft CRM and Dynamics 365. Ever wondered how to remove a managed solution from a CRM environment and what the best practices are when doing so? In this blog, we will review the top three things you need to know before uninstalling a managed solution from your CRM environment. Aside from the default out-of-the-box and pre-deployment customization solutions, Dynamics 365 supports both managed and unmanaged solutions. An unmanaged solution allows for edits and updates to any component of the solution. A managed solution is a definitive solution that can be installed and distributed in multiple environments but cannot be customized. 1.) The first and most important thing to remember before uninstalling a managed solution is that it’s permanent. Uninstalling a managed solution will delete all data that is stored in CRM, including all components defined within a solution. There is no control Z option here folks! Once you’ve done this, the data CANNOT be recovered. Only uninstall solutions that you are positive you won’t need. 2.) If your managed solution is part of a monthly subscription, like one of our PowerPack Add-ons, make sure to unsubscribe from the solution first. Unsubscribing from a solution simply stops future payments but does not uninstall the solution or delete data in your CRM. We recommend that if you have data from the solution, you unsubscribe from the service and not uninstall the solution. 3.) Installing and uninstalling managed solutions is specific to each CRM environment. What does this mean to you? If you have any questions or issues installing or uninstalling a solution, Microsoft will be able to support you. You can find instructions how to uninstall a solution in this Microsoft article. If you need additional assistance removing a managed solution, you can work with PowerObjects’ awesome support team or reach out to Microsoft directly. 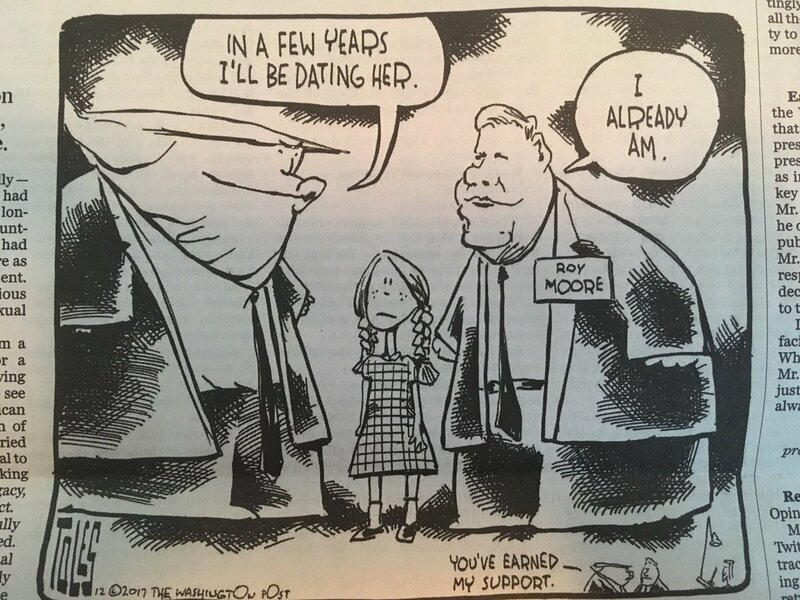 While Trump’s boasts of sexual assault are loathsome, it is ironic that his sexism brought him down more than his assaults on liberty and justice. What happens to the rule of law when a presidential candidate threatens to throw their opponent in jail? When he lies even about things that are easily verified to be false, and yet continues to lie about them with impunity and often gets away with it? We’ve seen it all before, but mostly in dictators, con men, thugs, and sociopaths. Uber is introducing a new security feature in cities across the U.S., one that requires drivers to verify themselves by snapping selfies periodically. The etaxi giant first revealed plans for the Real-Time ID Check tool back in April, when it sent out email notifications to drivers informing them that they would soon be required to take occasional “clear, well-lit” selfies to match against the photo Uber has on file. This is to ensure that “you’re the only one who can go online with your Uber account,” the statement said. Uber has been testing the face-recognition smarts in China, a market that has had fake-driver problems in the past, with multiple drivers sharing a single account. While Uber is touting this as helping to protect drivers from fraud, it’s likely designed to eradicate the practice of drivers sharing their accounts with friends, perhaps those who haven’t had security checks. It’s not entirely clear how often a driver will be prompted to take a photo, but it seems that it will be random — so there will be no way of knowing when the prompt will happen. If the photos don’t match, the driver’s account is blocked until Uber can manually look into it — there could be an honest explanation after all, such as low lighting. Uber has faced criticism in the past for its lack of security, and this latest move represents one of a number of safety-conscious initiatives it has rolled out in recent times. For example, back in June, the company revealed it would give drivers daily reports on their driving, as well as a real-time speed display and reminders to take regular breaks.